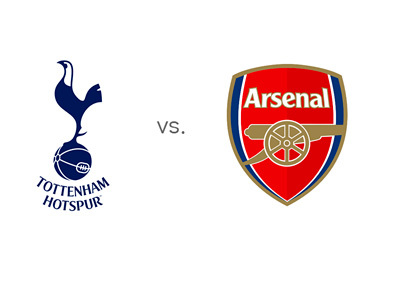 It is the North London derby this weekend as the Spurs invite Arsenal for a crunch tie at the White Hart Lane. This is one of the biggest rivalries in England and on Saturday the tensions will be high as both the teams have set their sight on a spot in the Champions League. In the early kick off this weekend, Arsene Wenger's men will face the high flying Spurs team. Mauricio Pochettino's side has been in great form off late and they have defeated the likes of Chelsea. But, their opponents this weekend aren't behind by any means. The Gunners have won five of their last six matches in the league, including the match at the Etihad against Manchester City. Their last defeat came at the hands of Southampton, who are currently at the fourth spot in the England's top division. On the other hand, Spurs have won four of their last six games and have drawn against Louis van Gaal's Manchester United. Throughout January, Crystal Palace were the only team in the league which stopped them from taking three points. Last time when these two sides met at White Hart Lane, Arsenal got one better of the home side. Tomas Rosicky's goal separated the two as Arsenal won 0 - 1. There is a two points gap between the two sides as the fifth and sixth placed teams head for a showdown. In September 2014, Arsenal were the hosts and the game at the Emirates ended 1 - 1, with Chamberlain and Chadli getting a goal each. Things have changed a lot since that clash as Eriksen has established himself as one of the best players in the league. Harry Kane has been a breath of fresh air and is firing on all cylinders. For Arsenal, Theo Walcott and Mesut Ozil are back in the squad after missing a lot of matches in the first half of the season.